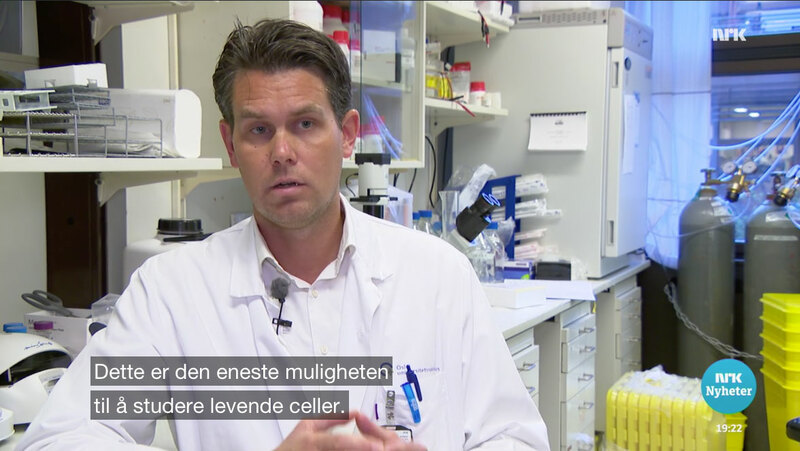 A project involving the generation of induced pluripotent stem cells (iPSCs) from Norwegian patients with Parkinsons disease was recently featured on the evening news broadcast from the Norwegian Broadcasting Corporation (NRK). This project - a collaboration between neurologist Mathias Toft, project group leader at the Department of Neurology at Oslo University Hospital and Gareth Sullivan, group leader at the Stem Cell Center - aims to generate neurons from the patient-derived iPS cells and to investigate disease mechanisms in these. The project is an example of the activities supported by The Neuron Factory platform at the Norwegian Center for Stem Cell Research.